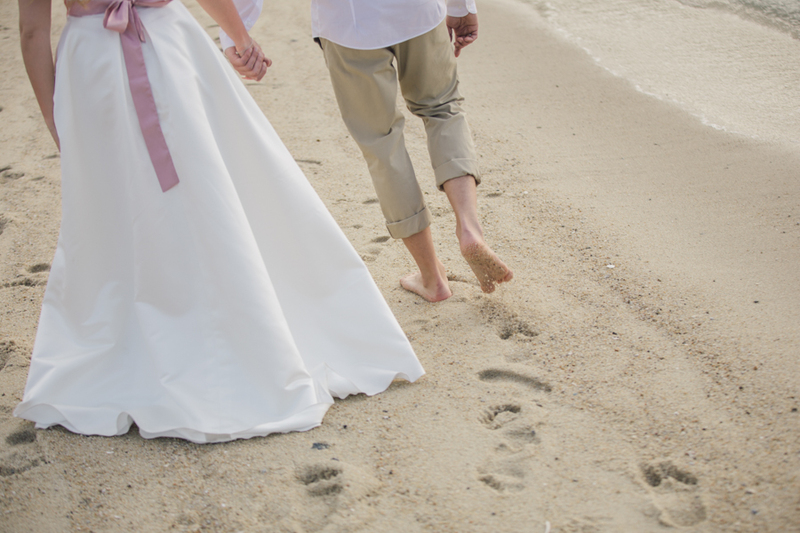 Do you know what is more precious and meaningful than a wedding itself? 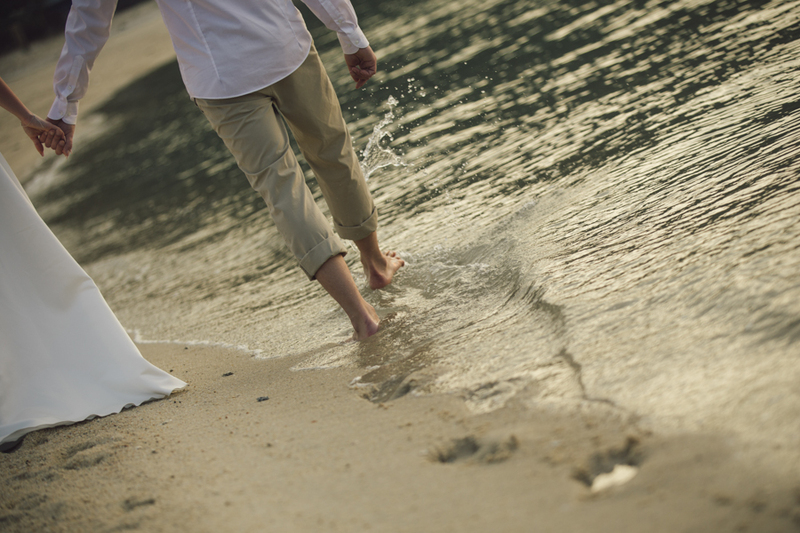 It is the life after wedding that two individuals experience and seeing how they grow together as a team. This life has a term and it is marriage. In a marriage, the love and bond between both gets stronger. It becomes a huge commitment and responsibility, thereby requiring couples to support one another through the ups and downs. Regardless of how good or bad a situation gets, they will pull through as long as they have one another. With that, we can say that this married couple has a healthy, strong and most importantly, happy marriage. 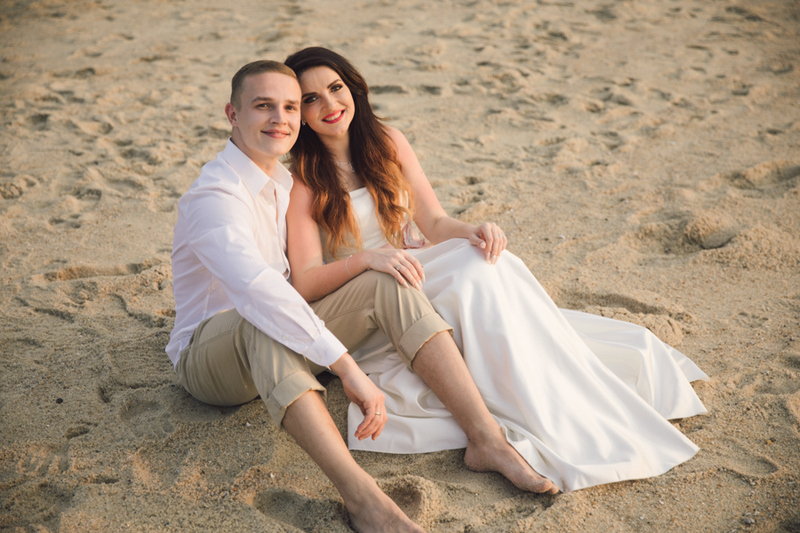 Our recent couple from the overseas is a great example of a happy married couple. Zukov and his wife has decided to step foot on our beautiful Penang island for their vacation. 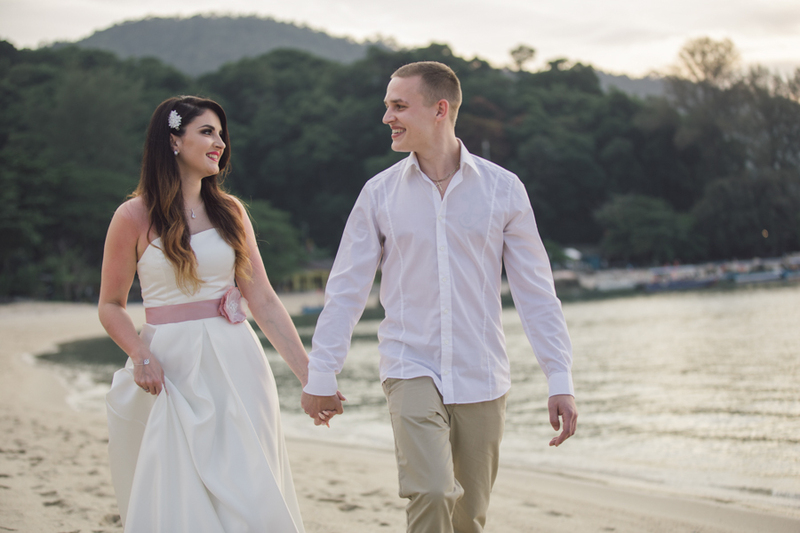 During their stay, they engage us as their photographer for their Post Wedding Penang collection. They love the beach and they definitely adore each other to bits. 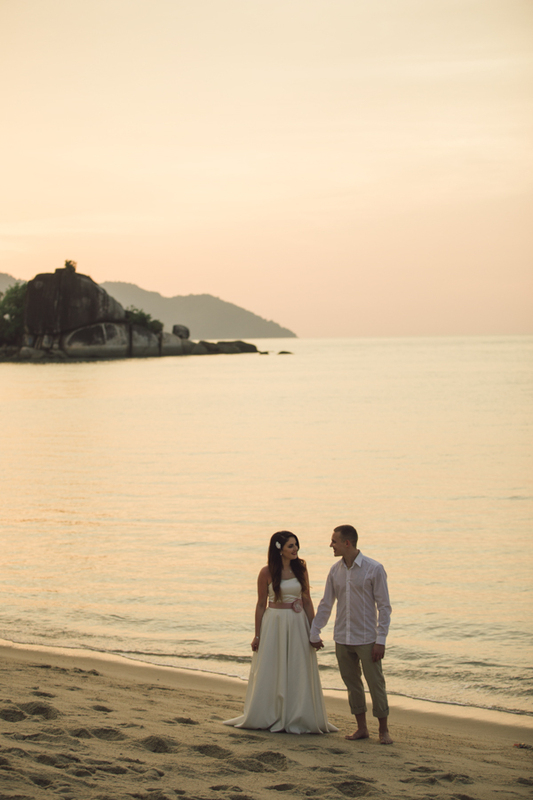 We capture some amazing shots along the sandy shore of Batu Ferringhi. Fortunately for us, the weather is good to us and sun is just about to set. Both Zukov and wife can be seen to be very comfortable with each other. In fact, they are definitely not camera shy too. They don white attires which embrace a sense of purity of love, which fits perfectly on a casual eveing! Their joy and love for one another is undeniable. 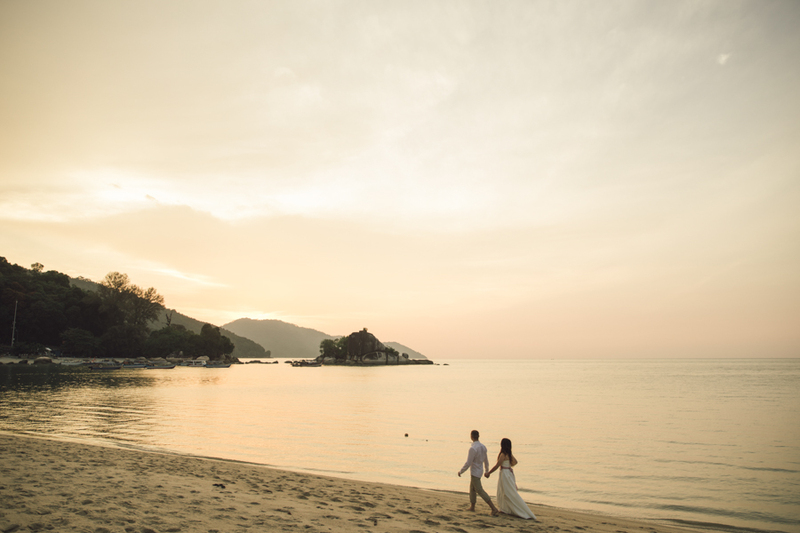 Thus, we are delighted to be able to capture such beautiful Post Wedding Penang moments by the beach.